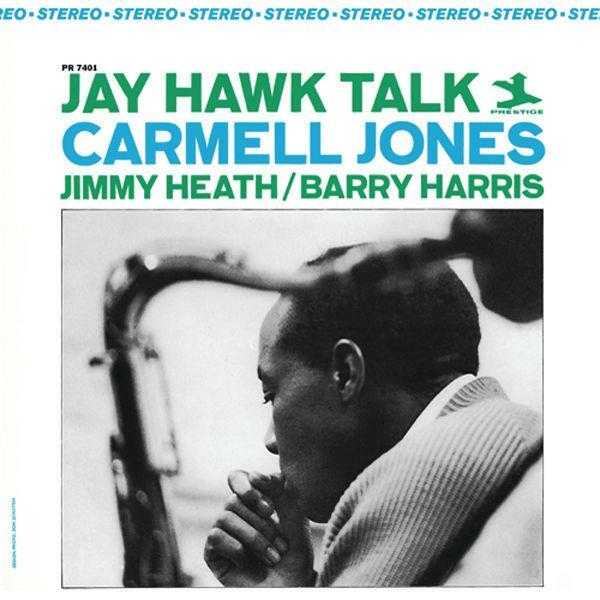 At the time of recording his best solo effort, Jay Hawk Talk, trumpeter Carmell Jones was a member of Horace Silver’s group and as a consequence partook in creating Silver’s landmark recording Song For My Father. From that outfit he chose drummer Roger Humphries, whose solid beat underlines a splendid hard bop session. Title track Jay Hawk Talk (penned by Jones, who hailed from Kansas, the Jayhawk State) is a stunner; an infectious vamp on par with such classics as Lee Morgan’s The Sidewinder (featuring, incidentally, Barry Harris) or Herbie Hancocks Watermelon Man. Jones’ hard swinging, staccato lines set the tone and Barry Harris showcases the merit of spaciousness in blues soloing. Jimmy Heath is at the top of his form, stacking one energetic run upon another, squeaking and honking in Tranesque fashion. Other selections include uptempo warhorse What’s This Thing Called Love and ballad Willow Weep For Me; it might best be described as ‘robust lyricism’. I would pick Dance Of The Night Child, one of three Jones originals on this album, as another stand out tune. Carmell Jones is not a name that regularly popped up in lists of top trumpet players. Mildly disappointing; Jay Hawk Talk proves he could compete with the best of them. • There is some confusion as to whether Jay Hawk Talk is recorded in either Van Gelder Studio, Englewood Cliffs in New Jersey or Richard Alderson’s RLA Sound Studio on West 65th Street, Manhattan in New York City. Sometimes Van Gelder Studio, where the main part of Prestige’s catalogue is recorded, was unavailable; Prestige then habitually turned to, among others, RLA Sound Studio. Most sources credit Rudy van Gelder; on the record cover, however, it is stated that recordings took place at RLA. Therefore, Flophouse Magazine sticks to that version.